Provide comfort for the family of Katherine Geno with a meaningful gesture of sympathy. Katherine Louise Geno, 57, of Carrollton, Texas, died on Wednesday, December 12, 2018. Mass of Christian Burial will be celebrated at 2 p.m. Tuesday, Dec. 18, at St. Louis Catholic Church. Rosary will be 6 p.m. Monday, Dec. 17, at OakCrest Funeral Home, followed by visitation with her family. Interment will follow at Oakwood Cemetery. Katherine was born in Waco, Texas on May 24, 1961 to the late William and Estelle Geno. 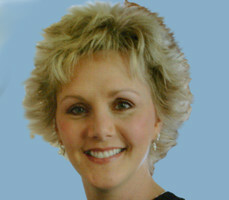 She graduated from Waco High School and earned her bachelor's degree in Journalism from University of Texas at Austin. She was the Corporate Telecom Director at Tenet Healthcare Headquarters. She was a strongly devoted Catholic, and had a very giving nature with everyone. Katherine had a strong love for God. She will be long remembered as a hard-working, generous, and kind person with a heart of gold. She loved getting to know new people and learning all about their life. She was able to keep everyone laughing through her great sense of humor. She loved her dogs and enjoyed all nature's wonders. She loved to travel and especially enjoyed her pilgrimages to the Holy Land and the Marian Pilgrimage. She was preceded in death by parents, William and Estelle Geno. She is survived by three siblings, Kim Geno, Kirk Geno and wife, Dr. Sharon Beshouri, Kris Kaliher and husband, Tony Kaliher; five nephews and nieces, Hans Kaliher and wife, Lisa Kaliher, Joseph Kaliher and wife, Jordan Kaliher, Nicholas Kaliher, Madeleine Geno, and Eleanor Geno; and two great-nephews, Gabriel Kaliher and Isaac Kaliher. Memorials may be made to the Bill Geno Respiratory Therapy Scholarship Fund at McLennan Community College, the American Society for the Prevention of Cruelty to Animals (ASPCA) or the Mark Deering Scholarship Trust at St. Louis Catholic School. To send flowers in memory of Katherine Geno, please visit our Heartfelt Sympathies Store. Maurice and Joyce Beshouri, The Kirk Geno Family, and others have sent flowers to the family of Katherine Geno. To the Geno Family, I'm a long-term friend of Katherine's. We go back many, many years to our days of working together at MCI. I wrote a note about Katherine in my weekly prayer list I send out. I've sent the list for 30+ years on email. Katherine and Estelle were members of our prayer team. Katherine was with me since the inception of the prayer list. I'd like to share here. I know it is a little long but wanted to express my love and condolences and honor for Katherine. Here is the letter: What’s in a name? Katherine Geno. In Katherine’s name many memories, thoughts and truths are conjured up. Many people let me know this morning that Katherine went home to Jesus earlier this morning. In an sense of irony. I jumped up at 7:03 this morning. Something came over me. So I walk out to my cell phone and took it off the charger. This was on my phone from around the same time this morning. “Frank - This is Kim - Katherine’s Sister. It is with a heavy heart that I want to let you know that Katherine passed into the arms of God a few minutes ago. She was not in any pain. I am sitting with her now and she is in peace.” Others also had written. I knew in my Spirit something was up when I woke up like that. So I started texting people and posted it to Facebook. Stephen being one person I texted. He called me and was in shock. He woke up thinking about Katherine today and was planning to call me today about her. To me these are not coincidences. They are confirmations. So then I cried. It was both tears of joy and sorrow. Sorrow that Katherine suffered. Joy that she was now pain free and home free. But what came to my heart was one the Lord gave me many years ago. “Sometimes God takes the pain away from the body. And sometimes God takes the body away from the pain.” God carried Katherine home away from her pain. Now back to her name. With Katherine’s name we get lover of God and family, friend, sister, loyalty, complicated, deep thinker, force of nature. Many of us have known Katherine from our MCI days for 30+ years. She has been a part of this Prayer Team since inception in 1981. Her Mom, Estelle, came to join our team many years ago. Having had my Mom go home to Jesus years ago. And I will never forget this. Estelle became my “Cyber-Mom.” She offered that role and I accepted. It never failed. It seemed whenever I was in a dark or overwhelming period of life. Here would come a note from Estelle. God has great timing with all of us. Katherine is now reunited with her Mom and Dad. But more importantly she is with Jesus. Katherine loved Jesus so much. Katherine never married. To me she was married to Jesus. Something just came to my heart. Over the years I mentioned Katherine, Florence, Stephen, Mark at home early and often. Both our kids, Justin and Jenny, always remembered their names. I would tell the kids I’m on a call. They would ask, “Is it Katherine Geno or Florence Williams?” And they always knew Mark Gribbin and Stephen Dennis names. To me friends are for life. And even after death. Because we will see them again. It’s like that old saying. “We can only go up from here.” Katherine made her journey up home. Many of us God brought together at a company called MCI. Many of us have stayed friends all these years later. We all have many memories with Katherine. This was one. Katherine had a dream of taking a Pilgrimage to the Holy Land. So she went on that trip. She returned and called me to give me a recap. She told me went to the Western Wall one day to pray. And then she told me this. She said, “I did something special for you. I wrote a prayer for you and posted it in the Western Wall.” Even today I’m getting tears thinking about it. It was so Katherine. On a trip of a lifetime and she thinks to do something so special to my heart for me. It is an act I will never forget. I’ve never been to the Holy Land. So for her to do this in proxy just blew me away. Katherine always was thinking about others. Think back to my word of loyalty. It is just so rare to have true friends. Yet alone for life. And I have to confess. After Katherine started her treatments. We had talked quite a bit. Then I didn’t hear anything for a while. So in my heart was thinking no news is good news. Well things took a turn for the worse. And something in me was afraid to face Katherine’s new normal. I struggled so hard with it. And then she wrote me recently and asked for my cell number again. The number she had was wrong. She asked, “Can you talk?” I wrote back with the correct number and said yes anytime. We never got to talk. Knowing Katherine she will forgive me. I think it has to do somewhat with our own mortality. Anyway Katherine thank you. Thank you for being a friend and confidant. Love you and see you when the Lord calls me home. I have a feeling you will be waiting for me at the gate that day. That’s just whom you are. Please pray for her family and friends. This also came to mind thinking about Katherine…. Romans 8:35-39 “Who will separate us from the Messiah’s love? Can trouble, distress, persecution, hunger, nakedness, danger, or a violent death do this? As it is written, “For your sake we are being put to death all day long. We are thought of as sheep headed for slaughter.” In all these things we are triumphantly victorious due to the one who loved us. For I am convinced that neither death, nor life, nor angels, nor rulers, nor things present, nor things to come, nor powers, nor anything above, nor anything below, nor anything else in all creation can separate us from the love of God that is ours in union with the Messiah Jesus, our Lord.” In Christ, Frank. I was so sad to hear that Katherine had passed away. I was friends with her in Dallas after graduating from College. I loved Katherine, she had such a great personality and was very quick witted and funny! Even tough I had not seen her in years, I have always held her friendship close to my heart! Please accept my deepest sympathy! God bless you Katherine, you were loved by everyone you met!